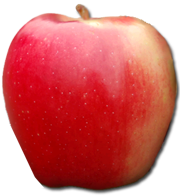 Ever wonder who grows your delicious organic Ambrosia Apples? We head to the Similkameen Valley in BC to get to know one of them or rather, a whole farming family. Meet your BC organic Ambrosia apple growers; the Bhathal Family. When Arbinder (Rupee) Bhathal came to Canada in 1992 he hoped to work with wood. Little did he know that it would take the form of fruit trees. He was sponsored by his sister who lived in the Cawston, area of BC where the easiest way to get a job is to work in the orchard. That’s exactly what Rupee did. To Rupee’s surprised, he enjoyed growing fruit and never looked back. After the a stint working in Brian Mennell and Linda Edward’s orchard, Rupee discovered the benefits of organic farming. A few years later, when he and his bother bought their own farm, they decided to go organic. The brothers have added more acres to their business over time and are joyfully living the farming life. Our visit to the farm reveals a happy multi-generational home, a well kept organic orchard and a great setting for the kids to play. Meet Rupee and his family in this Grower Profile video. Growing organic Ambrosia apples wasn’t their first career but the Kings, of Bite Me Organics in Kelowna, BC, find operating their farm and farm-gate store to be a very rewarding second career. Bite Me Organics was started in 1994 when Richard and Robyn decided that a farm would be a good place to raise a family – and what a beautiful setting it is. Get to know them and discover where they got the cheeky name for their farm and how they keep that fun alive. Bite Me Organics is a popular stop for people in the Okanagan Valley who want to see how an organic farm is run, admire some local art in the farm-gate store and maybe even pick their very first Ambrosia apple. It’s the visitors that give Richard and Robyn so much satisfaction in growing beautiful organic fruit. This video was shot in East Kelowna, BC, Canada. The Organic Ambrosia apples featured in this video were 3 weeks away from maturity and and have not yet reached their full size or glowing colour. Thanks to Richard and Robyn for sharing their story and the enjoyable experience of a visit to Bite Me Organics. Meet Organic Ambrosia apple growers, Brian Mennell and Linda Edwards. These two Similkameen Valley orchardists describe some of the major issues related to organic growing i.e. soil building, vegetation management and pest control. They know that insects can be beneficial but can also be serious pests. They relate how on-farm and farmer directed research using organic tools and methods help solve problems and make it possible to grow these wonderful organic Ambrosia apples. This video was shot in beautiful Cawston, BC.Canada. Thanks to Brian and Linda for sharing their story and their knowledge.